This rich honey bee hand-painted needlepoint design is by The Collection. 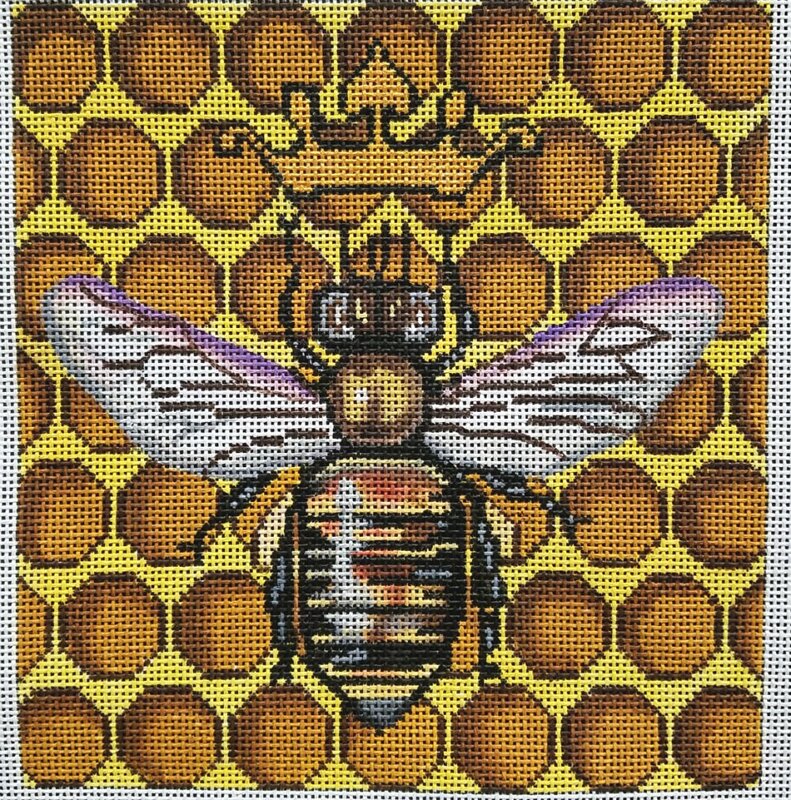 It features a realistic bee with a crown on honey comb in warm, golden colors. The design area measures 8" x 9" and is hand painted onto 13 mesh needlepoint canvas. If you require stretcher bars to hold the canvas taut while you stitch it we recommend a pair of 12" and a pair of 13" and some thumb tacks.